This is a pack of two 1/10th Wing Mount Buttons. 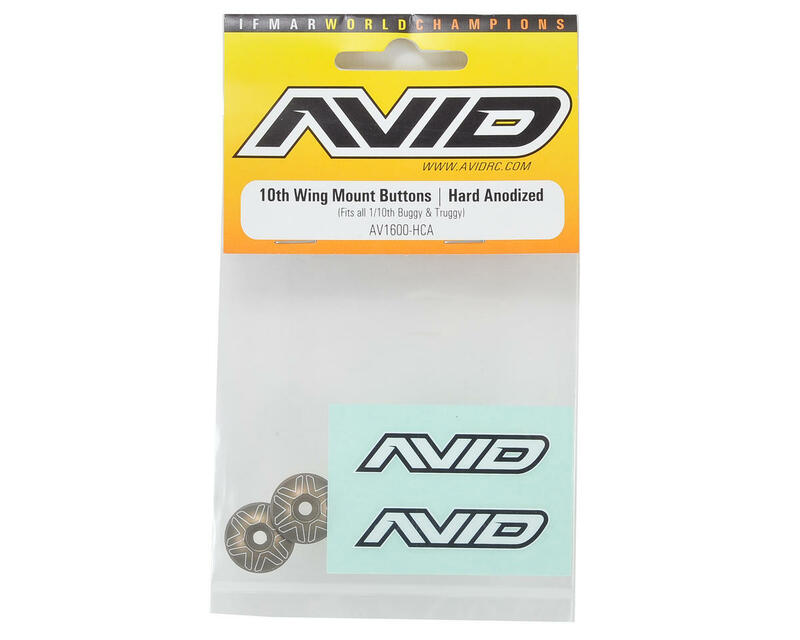 Following the success of the Avid 8th wing mount buttons, Avid has taken on 1/10 scale. 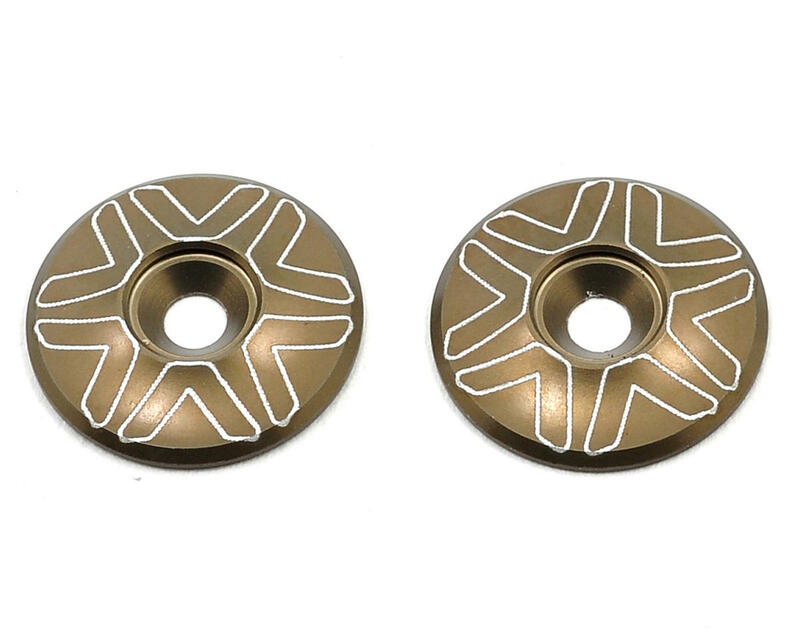 The 1/10th scale buttons feature counter sunk holes for a low profile look, and do not have serrations. The contact surface are is the same as the 1/8 Wing Button because testing with a touring car showed more consistent traction at high speeds. These parts fit any on road or off road application that uses an M3 screw.